Research suggests that when viewing a house, prospective buyers often make up their mind before they even step through the door. The decision is often made by location, and how the house looks and what state it is in; what estate agents call ‘curb appeal’. Some developers have made fortunes by purchasing ‘ugly’ houses and transforming the outside using a few relatively easy tricks. Even if you are not planning on selling a home, using some of these maintenance tips will give it curb appeal and make it more homely in the process. If your property has one, a front garden is the first thing people will notice when walking past your home. Whilst many people may not have time for gardening, sometimes it only takes a day or two to transform the appearance of your front garden. It’s undoubtedly the cheapest way of improving the curb appeal of your house. Tidy up the overgrown hedge, dig the weeds out, and hide those unsightly bins. There are many designs for maintenance free gardens. Planting flowers and different coloured shrubs can instantly make a home look more lively and colourful. Another way of sprucing up the garden would be to add a water feature, ornamental plants, colourful gravel, and if appropriate, outdoor furniture, so when the sun comes out you have somewhere to sit and soak up the heat. 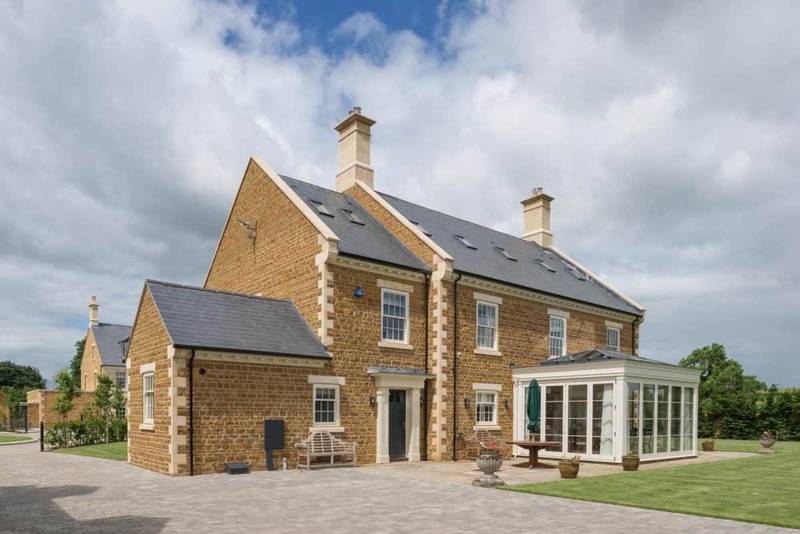 Often overlooked, roof tiles can make or break the aesthetic of a house. Many houses have the wrong style of tile, which makes the appearance seem strange, even though you can’t put your finger on why. Cottages with concrete tiles, Victorian houses with those strange green double-roman tiles. It’s a big no-no. This is more common than you think because in the past, roofing companies would offer to put a new roof on your property in exchange for the original tiles (replacing them with less expensive ones, and taking the valuable ones away). Smooth tiles make a house look more sophisticated and welcoming, and it’s becoming easier by the day. One premium roofing slate is the ” CUPA R12 excellence”. This tile makes the average home look more sophisticated and offers a clean and professional look. CUPA R12 Excellence is a high-quality dark grey natural slate with thin laminations and a smooth surface split to a thickness of 5 mm, perfect to impress visitors and family. Another option is visiting your local reclamation centre to see if they have reclaimed tiles that match the period of your home. Either way, do your sums as reclaimed tiles are quickly becoming more expensive than new ones. If a house is quite old, or built using dubious construction methods, it is likely that over the years more and more chips and cracks will have appeared on the walls. Certain styles like pebble-dashing, or strange colour renders, ust look dated. Cladding can provide a quick and easy solution to transforming the appearance of your property. When looking to buy a house, buyers may not be looking for a house in need of renovation, so cracks and poor craftsmanship may drive them away. Alleviate this problem by cladding walls with wood to give a rustic feel to the house, and get rid of the poor look of cracked bricks. There are hundreds of different styles of cladding to choose from. Replacing the windows of a property may be a good idea if you are starting to notice a draft, but on top of that, it makes the property look better. Like tiles, many properties end up with windows that don’t fit the style of the house. This happened because people found old styles of windows draughty or noisy. However, advances in manufacturing have made it possible to buy traditional looking windows in old styles. Such windows aren’t cheap, but they make an incredible visual impact. They also have the added benefit of keeping the warm in and the cold out; saving you money on your electricity bill. If appropriate, simply changing the colour of a house exterior can completely revamp a property. Not only will a fresh coat of paint tidy up a house visually, a different colour can alter the feel of the place. However, it is important to avoid garish colours, and to choose a tone that fits in well with your surroundings. Your house should complement neighbouring houses. A fresh cream colour can instantly give a house a ‘period feel’, or in other areas pastel coloured houses will fit with the local theme. Avoid anything that makes your house stand out too much (potentially upsetting neighbours). Your house should seamlessly blend in, but have an up-kept feel.